The strong relationships with partnering agencies is a significant aspect of the Samford Commons concept. These partners have the autonomy to act in ways consistent with their overall purpose and at the same time choose to work with Samford Commons in areas of mutual interest where the overall benefits are likely to be enhanced by collective action. The Community Library Samford Inc. aims to inspire interpersonal and inter-organizational communication, creativity, idea sharing and innovation by reusing donated resources from the community to provide a comfortable space for individual reflection and small group meetings, as well as stimulating discussion and debate around local and global issues. A network of up to 200 artists and other creatives has formed an incorporated association, Creative Samford, which will establish studios, a gallery and exhibitions while using the precinct as a base for artists trails, teaching, performing and other pursuits. 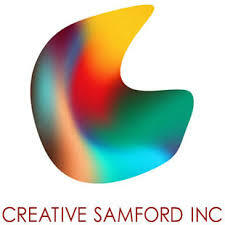 Performing arts will be a part of the Creative Samford partnership. Creative Samford is providing professional input into the School of Sustainability. KYC is a community owned regional organization which has a heavy emphasis on social justice and provides professional consultancy and direct service provision services in the development of young people and communities as well as to youth and community sector services and departments. 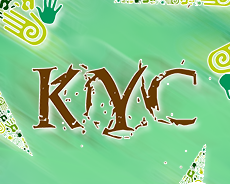 KYC has a mission to “… empower young people and communities towards connectedness and reaching their full potential as both individuals and communities themselves.” It is expected that the partnership will enable KYC services to be conducted in a consistent environment of community co-operation and networking in Samford Valley and the Hills District. Millen Farm is a community owned social enterprise which is establishing a viable farm at Samford Commons as a model and training ground for urban agriculture. It has a vision to ‘learn, grow, feast’ and is a core part of educational activities at the School of Sustainability. Millen Farm is expected to be a showpiece urban farm demonstrating and educating about food production. It will carry out food sales and continue to organise festivals, community education programs and participate in future markets. The Moreton Bay Regional Council has already begun a relationship with Samford Commons which moves past the owner-leasee dimensions of the arrangements at the precinct. The mutual needs of the Council and the Commons invite a special partnership which will create long lasting benefits for Samford, the region and beyond. 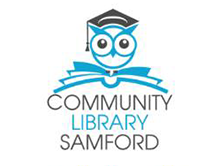 The Chamber actively supports and represents the business community of Samford and conducts regular meetings and events to engage with members and the business community generally. It is intended that the Chamber will contribute to the provision of business and commerce learning programs to students visiting SC and in particular to participate in programs for students from rural and remote communities who participate in the Samford Commons Sustainability Immersion Program. They plan to conduct specialist business events at SC and to participate in festivals and other events. 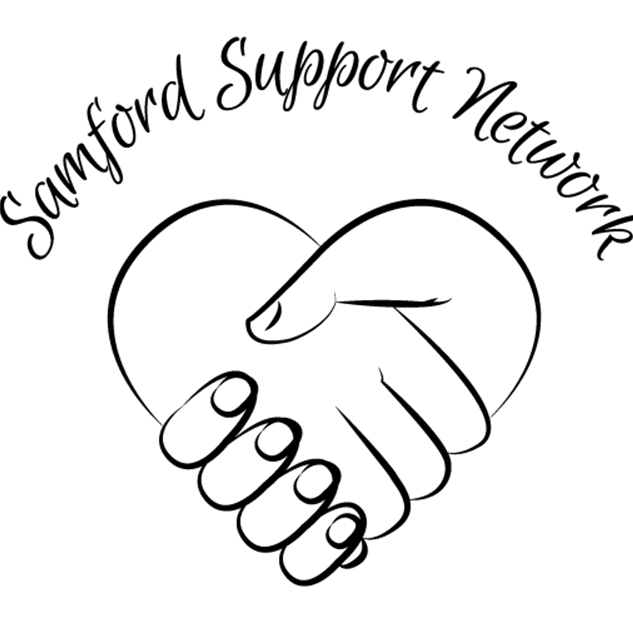 Samford Support Network has a mission to provide high quality community services for those with a disability or are incapacitated due to illness or injury. SSN provides volunteer transport to people in need and Samford Commons plans to support SSN through the use of office space and other office and meeting services provided by SCL at the proposed Samford Commons Community Hub space. We are also working together to provide sponsored vehicles for people with disability. The partnership will enable SSN services to be conducted in a consistent environment of community co-operation and networking. Samford Tennis Club had a mission to provide high quality tennis coaching and general well-being programs for people across the full age spectrum. This may take place through micro-coaching services and tennis coaching services to students from rural and remote communities who participate in the Samford Commons Sustainability Immersion Program. In time, specialist coaching camps may be accommodated at the SC Accommodation Centre. The tennis centre, which is built on highly sustainable principles, will be used as a learning model for school students and the community. Edgeware is a specialist education and training organisation partnering with Samford Commons to provide advice and both accredited and non-accredited professional development activities for businesses. In particular Edgeware works to support start up businesses and Samford businesses have already been helped by Edgeware. Together we will provide business and commerce learning programs to students from regional schools visiting SC and provide advice and learning programs to students from rural and remote communities and disadvantaged groups. Samford Commons is partnering with Edgeware to conduct monthly Edgie Long Table Dinners where Edgeware alumni and other businesses meet to relax, network and grow. Specialist business events will be a focus, working with other Commoners such as the Chamber of Commerce. FliteOptix is a provider of aerial imagery, surveying, mapping, inspections and asset monitoring and has provided high quality images to Samford Commons. They will provision advice and knowledge input into both accredited and non-accredited training activities for the SCL learning program. FliteOptix will network and cross-promote with the Commons and will participate in festivals and other events conducted at Samford Commons. KCC is a newly established business which has a vision to create a small world community made up of role modelling and experiential mindful living. It is a vibrant asset to the Commons community and is successfully offering businesses and the general public the opportunity to offload materials / resources / goods that would ordinarily go to waste. This waste is then remade into childrens toys and a variety of other products for homes and schools. KCC is on-site and also has a Village presence and is developing a well frequented location, where parents, carers and educators can bring their children to engage in a community activity that promotes real life learning and sustainable practises. 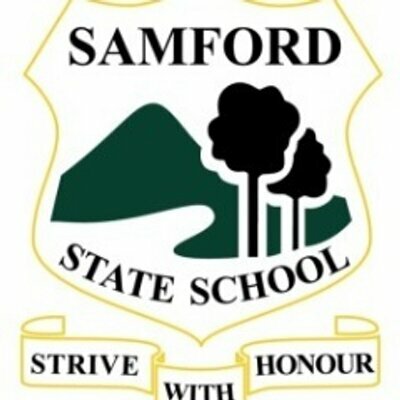 Samford Primary School is the first school to sign up as part of the Partnering Schools program, co-creating the curriculum for the School of Sustainability. Samford Primary is acknowledged widely for its quality practice and its focus on real world learning Connecting with groups, businesses and organisations and creating authentic, rich learning experiences that embed the STEM concept of ‘inspired learning’. It will work with the Commons to create a hub of professional learning for educators with links to the broader educational community and to connect to experts in diverse educational fields using cutting-edge multimedia platforms. The school will use the precinct regularly with class visits and have 24 hour access to the Commons Classroom and Maker Space. It engages in Commons festivals and events, conducting a short film event for the Wellbeing Forever Festival and has initiated and conducted professional development events on site for its 100 staff. The school has plans for a wide range of partnering learning experiences at the Commons and is networking with other secondary schools in both the state and non-state sector to add value to the Commons vision and capacity. The school will taking a leading role in the co-creation of curriculum offerings at SC and will participate in festivals and other events conducted at Samford Commons. The partnership with STEM Punks enables learning about the world-wide imperatives of Science, Technology, Engineering and Mathematics. STEM is an important part of the national landscape and trends show that over 75% of future jobs will require knowledge and skills in STEM related fields. At Samford Commons this integrates with a focus on entrepreneurism and the arts forming an ESTEAM offering from Samford Commons. The ESTEAM offering will be part of the School of Sustainability program for schools, businesses and the community with leadership and co-staffing by the innovative STEM Punks team. Substation 33 is a social enterprise which conducts a very successful electronic waste recycling operation south of Brisbane. Samford Commons will operate a pilot pickup station in 2018 in the lead up to a planned full operation after the trial. This will build a sustainable local social enterprise and improve the overall sustainability of the Samford Valley and Moreton Bay region. UDS (Unqualified Design Studio) utilises the latest creative techniques and approaches to design, fabricate and educate through means of participatory public art, performance and workshops to empower the communities of the future. They will have a presence on site with a small scale fabrication lab (Maker Space) facility at Samford Commons and will provide advice, expertise and staff time into Maker Festivals, Maker Space projects, Co-working space, School of Sustainability, Community Library and other innovative events. Innovate Moreton Bay is a partnership of 6 agencies working toward the establishment of a Moreton Bay Regional Innovation Program which has been included in the mix as a potentially fundable project by the Queensland Government’s Advance Regional Innovation Program. Moreton Bay Regional Industry and Tourism is the lead agency and Samford Commons is proposed as a Regional Innovation Hub working with other partners including Regional Development Australia, Moreton Region Chambers of Commerce, Moreton Technology Alliance and Narangba Innovation Precinct. Samford Commons entities such as Samford Commons Community Library, Samford Commons School of Sustainability and Samford Community Power are essentially internal partners of Samford Commons and act in an integrated network with other partners within the Commons umbrella.